What are some tips for managing my money? As with virtually all financial matters, the easiest way to be successful with a cash management program is to develop a systematic and disciplined approach. Spending a few minutes each week to maintain your cash management program, can help you keep track of how you spend your money and pursue your financial goals. Any good cash management system revolves around the four A's — Accounting, Analysis, Allocation, and Adjustment. Accounting quite simply involves gathering all your relevant financial information together and keeping it close at hand for future reference. Gathering all your financial information — such as income and expenses — and listing it systematically will give you a clear picture of your financial situation. Analysis boils down to reviewing your financial situation once you have accounted for all your income and expenses. You will almost invariably find yourself with either a shortfall or a surplus. Ideally, you should be spending less than you earn. One of the key elements in analyzing your financial situation is to look for ways to reduce your expenses. This can help to free up cash that can either be invested for the long term or used to pay off fixed debt. For example, if you were to reduce restaurant expenses or spending on non-essential personal items by $100 per month, you could use this extra money to prepay the principal on your mortgage. On a $130,000 30-year mortgage, this extra $100 per month could enable you to pay it off 10 years early and save you thousands of dollars in interest payments. Allocation involves determining your financial commitments and priorities and distributing your income accordingly. One of the most important factors in allocation is to distinguish between your real needs and your wants. If you need to reduce your expenses, you may want to start out by cutting back on your discretionary spending. This can help free up cash that can either be invested for the long term or used to pay off fixed debt. 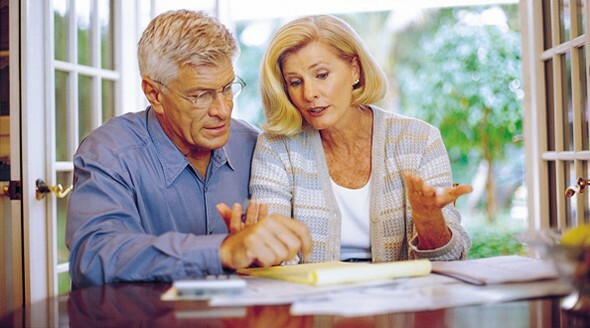 Adjustment involves reviewing your income and expenses periodically and making changes when necessary. Above all, be flexible. Any budget that is too rigid is likely to fail. Using the four A's is an excellent way to monitor your financial situation to help ensure that you are on the right track to meet your financial goals.